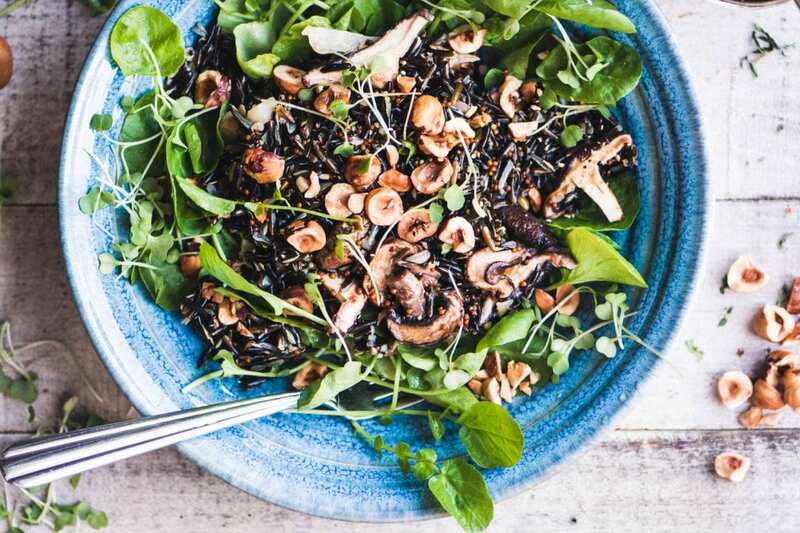 My Wild Rice Bowl with Watercress and Hazelnuts is a quick pilaf of rice and mushrooms served warm over spicy watercress and topped with toasted hazelnuts. 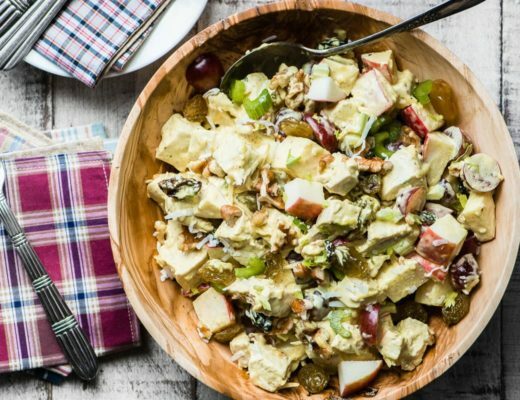 This earthy gluten free vegan bowl celebrates the best fall flavors! *This post is in partnership with Swanson® ~ thank you for supporting me and the brands I work with, I’m super choosy and promise to bring you only the best. I get all kinds of visitors here at tvfgi, over a million every month ~ some of you are teenagers, others are well into your eighties, and I love that! But can you guess the biggest group, by far, of readers here? It’s Millennials, and that’s no surprise because you’re the ‘foodie generation’. You guys are responsible for some of the biggest changes in eating habits in generations and all of us, no matter when we were born, are getting swept up in your enthusiasm: food is fun! No cookbooks – you’ll crowd source your recipes online. Instacart > grocery cart – you like your food to come to you, and there are plenty of apps for that. Mash it up! – you’re not afraid of new combinations. Splurge a little – the good stuff is worth it. No GMOs – you want fresh, whole food and you really do care where it comes from. Put a runny egg on it – you’ll grab your protein however you can get it. Ditch the plate – dinner tastes better in a bowl. 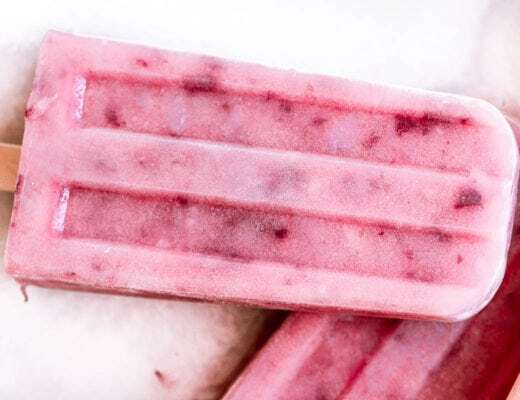 Flavor is everything – you crave new, exciting, extreme tastes. Binge cook – just like you watch your favorite Netflix show, meal prep is key. Size doesn’t matter – you’re into authentic brands, big or small. Millennials are changing all of our eating habits for sure. I rarely do classic meals with separate protein/veg/starch anymore. Instead I’ll cook everything on a sheet pan, or in one big pot. My ingredient lists are getting shorter, and so is my cooking time. When I use fewer ingredients, every one counts and has to earn its spot in my recipe. 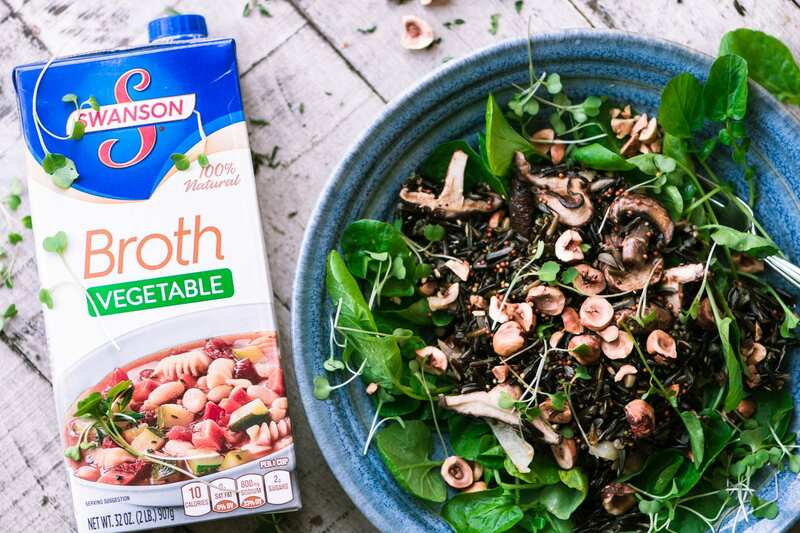 For this simple wild rice bowl I’ll cook the rice in 100% natural Swanson Vegetable broth to give it a flavor boost. 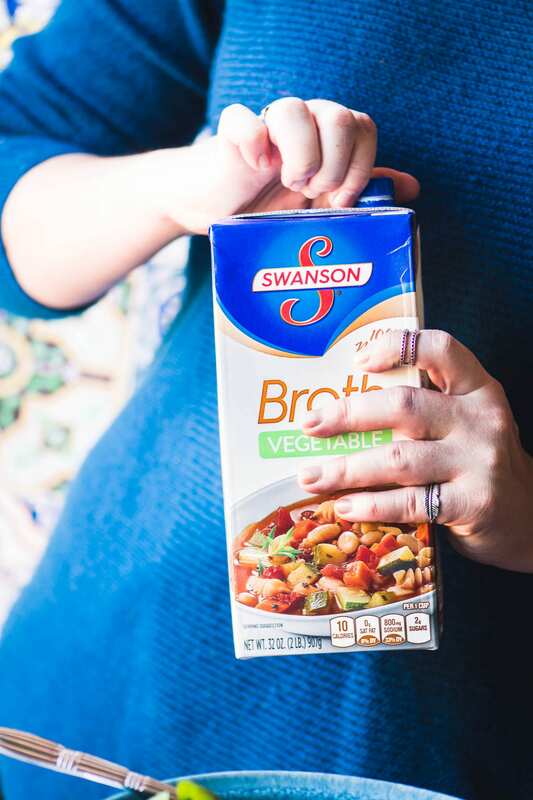 I choose Swanson because they get it, they know I don’t want to cook with artificial ingredients, and they give me lots of choices (low sodium, gluten free, organic…) so I can customize my stocks and broths to my recipes. While I chose to go vegetarian today, any of the Swanson products would enhance this dish. 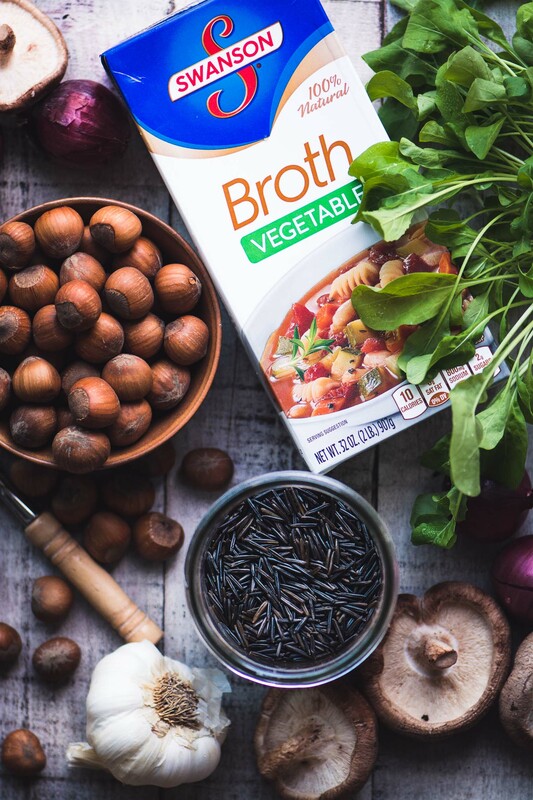 The number one reason I use Swanson stocks and broths in my cooking is because I prefer their light, natural flavor. They taste like something I would make from scratch. 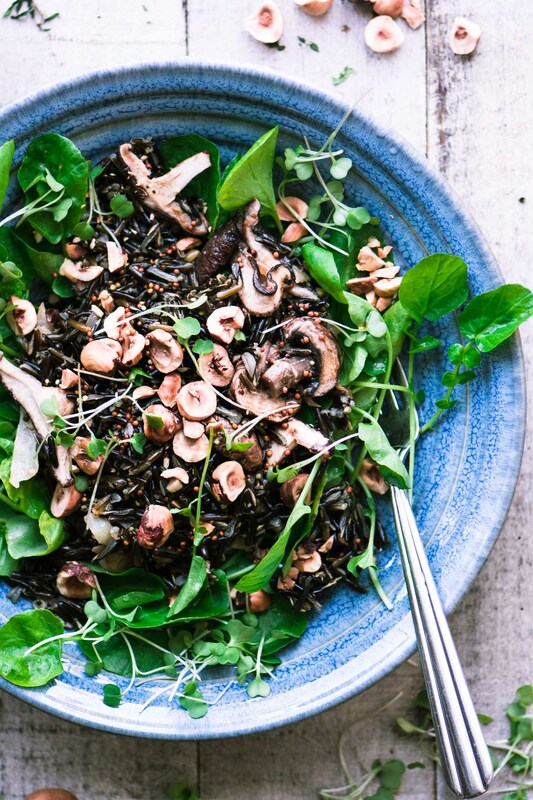 I infuse flavor into these wild rice bowls in lots of other ways, too. I’ll dry saute my mushrooms in my cast iron pan without oil or butter. This method is great for intensifying their earthy, ‘meaty’ flavor. While I’m cooking the mushrooms I roast the hazelnuts in a 350F oven for 15 minutes. I roast them until they are actually brown inside, and that’s the secret to their addictive flavor. They come out so delicious and crunchy it’s hard not to devour them before the salad’s ready. Watercress has got such a nice peppery flavor, it really adds a zip to this bowl. Whenever I can I like to pick up living greens. Living greens are lettuces and herbs that are sold in their living form, with roots in soil! Find them right in the produce section. They keep well, and when I’m ready to use them, all I have to do is snip them off. It doesn’t get any fresher. If the rice is cooked and the nuts toasted the night before, it’s a pleasure to put this bowl together at the end of a busy day: it takes just a few minutes. dinner in a bowl ~ check. a unique combination ~ check. alternative protein sources ~ check. amped up flavors ~ check. all natural, no GMOs, or preservatives ~ I used Swanson broth, so check, check, and check! Put the rice, broth, and bay leaf in a sauce pan and bring to a boil. Lower the heat and cook, partially covered, for about 45 minutes, or until the rice is just barely tender. If your rice is still too firm, cook it a little longer, adding extra water or broth if the liquid is too low. Drain. 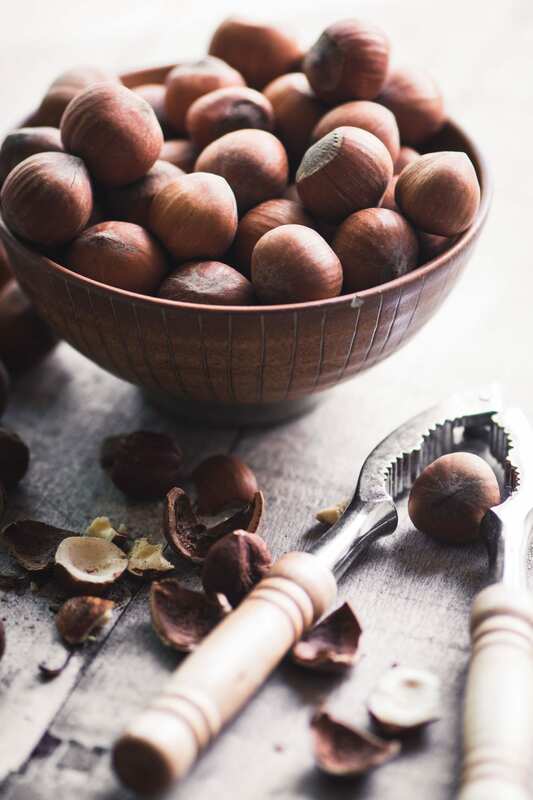 Meanwhile put the hazelnuts on a dry baking sheet and roast them for 15 minutes, shaking the pan to redistribute the nuts once during that time. Remove and let cool on the pan. When the nuts are cool, wrap them in a clean dish cloth and rub the nuts together to remove most of their skins. Discard the skins and give the nuts a rough chop. 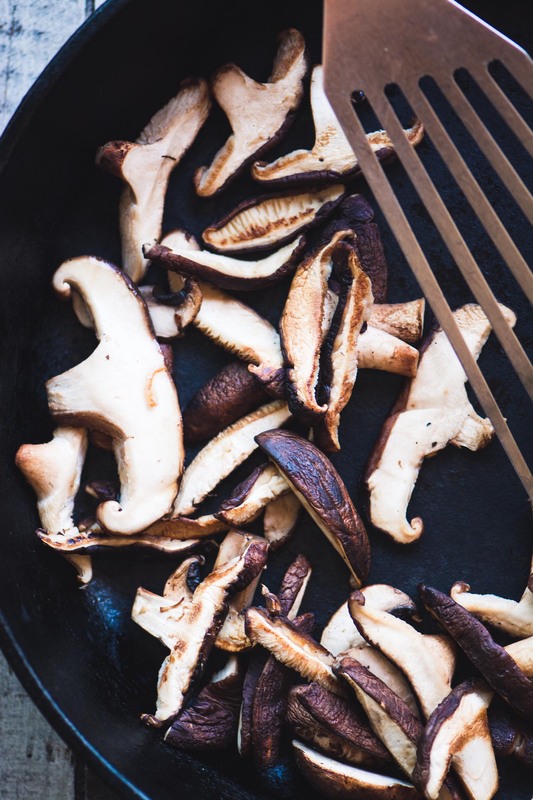 Dry saute the mushrooms in a skillet, stirring until they are browned and fragrant. Remove to a plate. Melt the butter in the same pan and saute the onions and garlic for about 7 minutes until just turning golden. Add the rice to the pan, stir well, and season with salt and pepper to taste. Keep warm. Whisk the dressing ingredients together and taste to adjust. 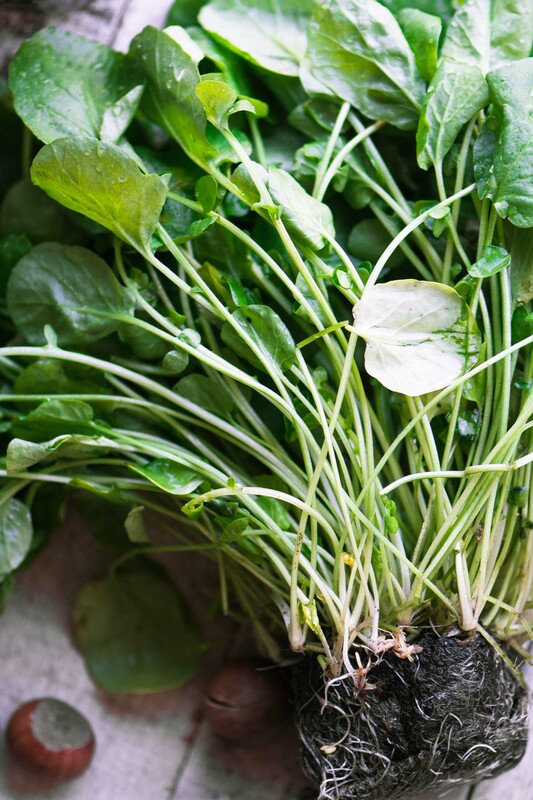 Arrange the watercress in a shallow salad bowl and top with the rice mixture. Drizzle with the dressing. 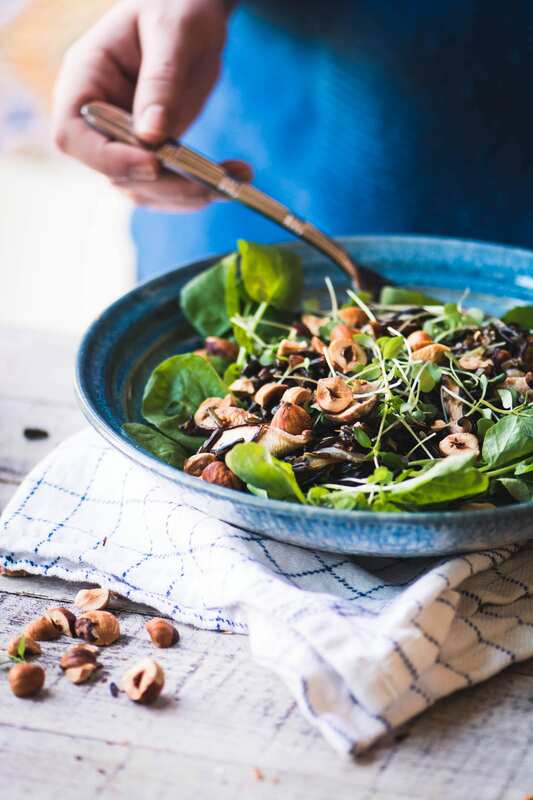 Scatter the nuts over top, and garnish with the micro greens. Use another type of rice or grain for the base of this bowl, like red or brown rice, wheat or rye berries, etc. Put a runny egg on it ;) Or some rotisserie chicken, grilled salmon, or shrimp for an extra dose of protein. Don’t love watercress? Go with arugula. Toss on some thick shavings of Gruyere cheese. Gosh, these photos just make me mouthwatering. It definitely sounds like a wonderful winter salad! Thanks for sharing. I think this is the first time I’ve ever gotten excited about wild rice. I’m not joking! This looks incredible, and the mushrooms must give it such an awesome flavor. Nice brand ambassador-ship! Love the flavors and textures of this beautiful rice bowl! Perfect break from all the gluttony of the holidays. I need to make a double batch and eat it for lunch every day from now to New Year’s!! Merry Christmas, Sue! 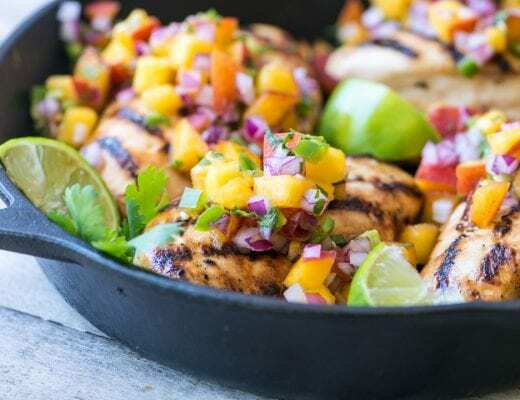 An amazing looking dish, I love everything that’s in it! Merry Christmas! This thoughtful post and your crystal clear photos are amazing, Sue! I loved how much I learned reading this. I’m not sure I’d have thought to dry sauté the mushrooms. Your blog is inspiring. What a beautiful dish! This would be a hit with my family! That looks so delicious! I love hazelnuts but they are very difficult to find where I live, sadly! I would love to make this salad!! That’s too bad, Beth, toasted hazelnuts are so good. I think walnuts, pecans, or almonds, would work as well, though. This sounds like an amazing winter salad! I love crunchy, earthy salads! It’s such a nice way to eat when the holidays get a little too sugary! This salad looks amazing! I want it for lunch today! You know I love this salad Sue! 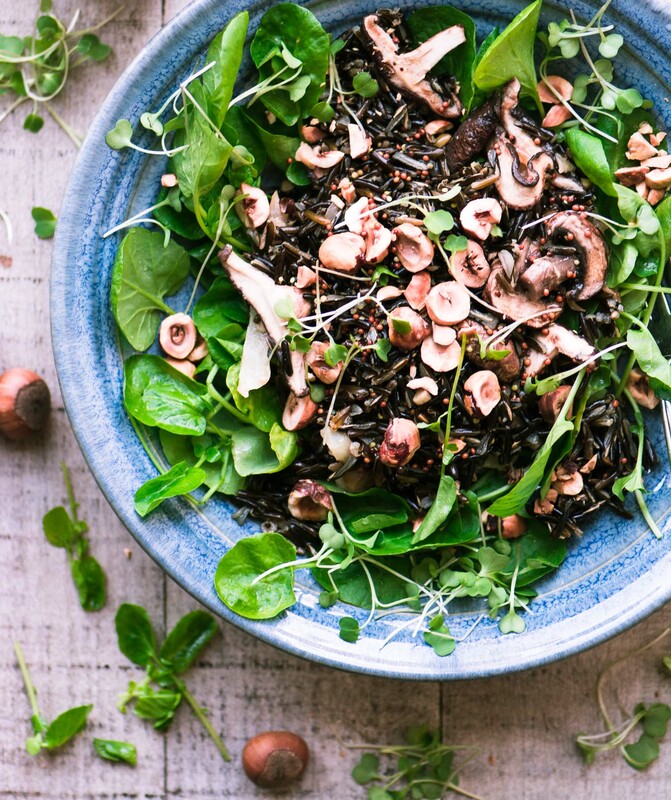 Hazelnuts are great and wild rice is always the perfect choice. Merry Christmas to you and Grant! Great post Sue, this rice bowl looks and sounds amazing! I love the beautiful colors, textures and flavors! This is going to be my lunch after all of those decadent days in front of me. Thank you very much ! Pinning for later ! Earthy, nutty and packed with flavours! I would love some for my lunch, Sue.